As originally reported by The Block in mid-December, Basis, the highly anticipated algorithmic stable coin project, decided to shut down and return nearly all capital raised back to its investors. The firm, which raised $133 million in funding, ran into regulatory headwinds as it attempted to get its algorithmic stablecoin off the ground, returning 90% of the capital back to its investors, including Bain Capital Ventures, GV, Andreessen Horowitz, Lightspeed Ventures and a number of other firms. Many applauded Basis’ efforts to return the raised capital to investors, noting that in the context of the broader market downturn, the investment had actually produced relatively impressive returns. Yet some Basis investors, specifically those who contributed Ether to the Basis bond sale, and subsequently received Ether back in the refund, are having a hard time forgiving and forgetting. Some of these investors have reached out to The Block under anonymity to share how the marketing of the sale differed from the underlying fine print in the pre-sale SAFT agreement. The highlights from these documents are presented below. As reported in December, Basis had specific terms in their SAFT contract with investors defining how the majority of capital raised was required to be held. 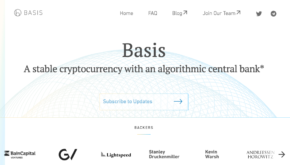 Most of the money was legally required by the contract to be escrowed in the currency in which it was contributed, and could not be touched by the company until Basis launched its network. Should the firm decide to forgo launching the network (as what inevitably occurred), the dissolution of the firm would entail paying investors back in their original currency contribution. The copy of the original pre-sale SAFT document confirms these arrangements. Moreover, the SAFT agreement stated that the firm could use up to 10% of the purchasers’ investment capital should the network fail to launch. The firm noting, “We are contractually committing to return at least 90% of capital if we fail to launch the network… this means you can heavily discount execution risk — your cost is the opportunity cost of your capital,” in a copy of a pre-sale summary document The Block received. The pre-sale documents that The Block received did not include the mention of underlying FX risk of the consideration used for investment, namely ETH and BTC. While both USD and ETH/BTC investors received their contractually obligated 90% of returned capital, USD investors saw their capital returned at a notional value of $1: $1, whereas Ether investors saw as much as an 85% discount to par (Ether was valued north of $750 early last year vs. ~$120 today). At the time of dissolution, Basis informed The Block that the majority of investors and capital contributed was in USD. Given the roll call of major VCs that contributed to the sale this seems likely. Yet, looking at the firm’s Reg D filing, over 225 investors participated in the offering, leaving plenty of room for non-USD/VC investors to have lost millions of dollars on the ETH drawdown. Basis did not respond to a request for comment on the percentage of total capital raised that was funded by Ether. To be sure, ETH investors had the opportunity to sell their holdings for cash and invest into the pre-sale with USD, or explore ways to hedge out their underlying exposure. Presumably, investors that contributed ETH decided to delay realizing capital gains by converting into USD prior to the sale, and instead continue to play with house money. However, as the dust settles amidst a prolonged bear market, some of the investors we spoke to are left wondering why those that contributed Ether should have to carry the weight of the loss in escrow value vs their USD peers, when all of Basis’ marketing materials were denominated assets in USD. Others took issue with the fact that 90% of the funds raised were to support a stability fund at a defined USD value, asking how the token could actually have been stable given the ~90% draw-down in the market. There’s also a final clause to dissolution events to consider. The SAFT states that equal priority and pro rata treatment should “equitably” account for any differences between purchasers that paid with USD and ETH/BTC. “Those aren’t bad arguments,” said Stephen Palley, a U.S. lawyer based in Washington D.C. and a contributor to The Block, when asked about the argument’s merits. “Basis will respond by saying the contract speaks for itself and is what governs the return of investment,” he told The Block. The two lawyers noted that if ETH/BTC investors were to get paid for some of their losses, the best guess path would have to come from the ~$13.3 million originally set aside to launch the network. While many investors are left wondering what could have been, it’s hard to argue that talent was the prohibitive factor in developing the network. The firm’s CEO, Nader Al-Naji, worked as an engineer at quant shop D.E. Shaw and later as an engineer for Google Search and Ad teams. The project also counted the founder of AngelList, Naval Ravikant, and the inventor of the Taylor Rule, John B. Taylor, as advisers. Upon analyzing the pre-sale summaries which state the “share token’s return comes from coin dividends”, in hindsight it seems obvious that these shares were going to be considered securities. Which begs the question, given the team’s background and significant investor backing, surely they must have realized this sooner? The post Reading the fine print: Basis pre-sale burns non-USD investors appeared first on The Block.